All travel agents linked to a travel agency, including home-based agents, are eligible to use this web service. Travel agents must register and obtain a log-in and password, through a travel agency, to begin using the site. Booking engine for new reservations. The online reservation system is intuitive, easy to use, and webinar training for the site is provided. Both group and individual reservations can be made on Cruising Power. Search itineraries for cruises and cruise tours around the world for all three cruise lines. The web site queries the site looking for cruises with the selected parameters. For example, if the agent has a client interested in a cruise around the Galapagos Islands from April to June, the search will find all Galapagos cruises for the time frame given. Make air reservations to the cruise embarkation port. Manage confirmed bookings. Changes or additional information can be modified online, including adding payments. Find ship information, including ship profiles, photos of stateroom configurations, and deck photos. Look for promotions. Any publicly advertised and non-advertised sale prices can be found on the website. Participate in training courses. Several training opportunities are found on the website. The University of Wow, a virtual seminar at sea, provides firsthand knowledge of what happens aboard a cruise. To become a certified expert, webinars and training videos are available for travel agent viewing. Find the latest news for cruising and agency information. Direct information concerning cruise lines can be found on the news web link. Itinerary changes can be found in the news section, in case of inclement weather, or other travel disruptions. Find travel agent reduced rates for cruises. Make dining reservations and special services for groups and individuals. After clients are confirmed, an agent can enter the confirmation number, to add dining times, and special dietary needs or dining celebrations. Browse sales and marketing tools. Design e-brochures and fliers with online templates. Send clients informative email flyers for special groups or cruise deals. The templates are easy to manipulate and produces professional looking media. Present an e-Magazine to your email customers that is updated every few months. Design an E-Quote. This tool allows an agent to quote up to five different cruises with links to view the ship, staterooms, and ports. Order brochures. A variety of brochures and DVD's are available to be sent to travel agencies. Check on group specials and special amenity sailings. With One Stop Files, an agent can review special sailing dates that offer cruise amenities. Agents can choose the amenities that fit their group needs, such as onboard credits and free tours, among many other choices. Print customer eDocs, the ticket booklets to board the cruise. Purchase or redeem gift certificates. If clients want to purchase gift certificates, they can be purchased from the Cruising Power site. Take advantage of Quick References. Scores of tabs are available with keywords for links around the website. This is a handy tool to navigate quickly around the site. Find contact information. Phone numbers and email address may be found, and who to contact for any issues an agent may have. 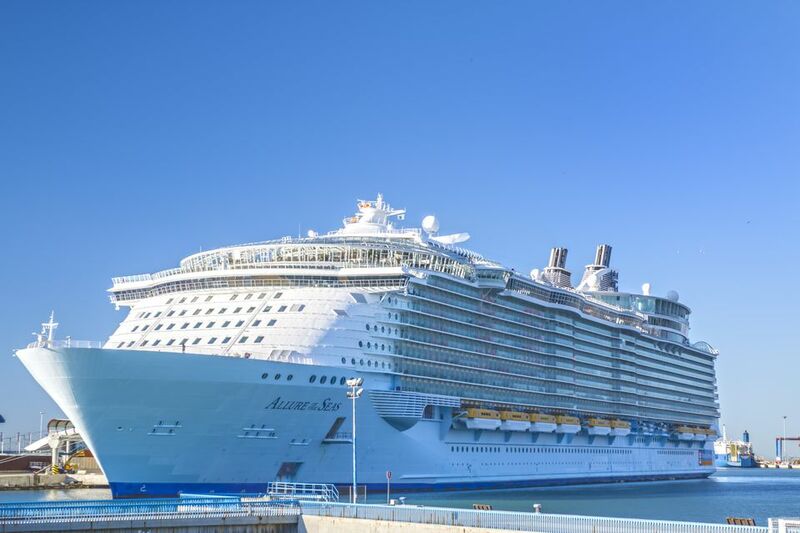 The Cruising Power website is truly an all in one resource for travel agents needing information on Royal Caribbean International, Celebrity, and Azamara Club Cruises. The website is well designed and a must have for serious travel agents. Agents who want an overview of Royal Caribbean's reservation system, Espresso, should log on to the microsite at BookEspresso.com. It features a self-guided tour and a schedule of webinars and other training sessions.